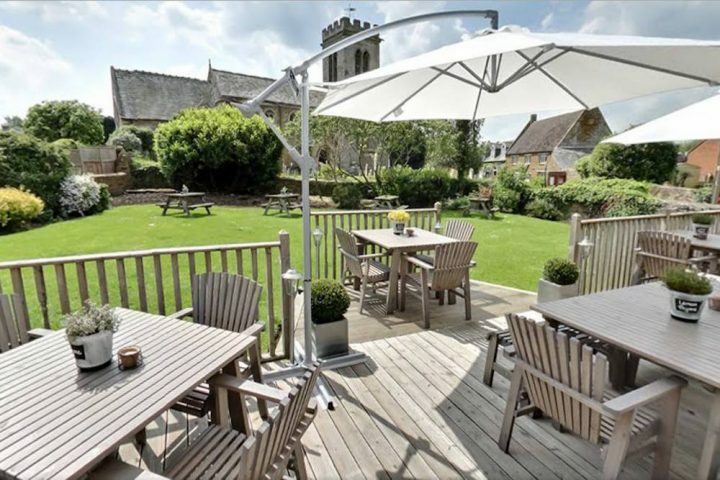 The Swan at Lamport - a Muddy fave. 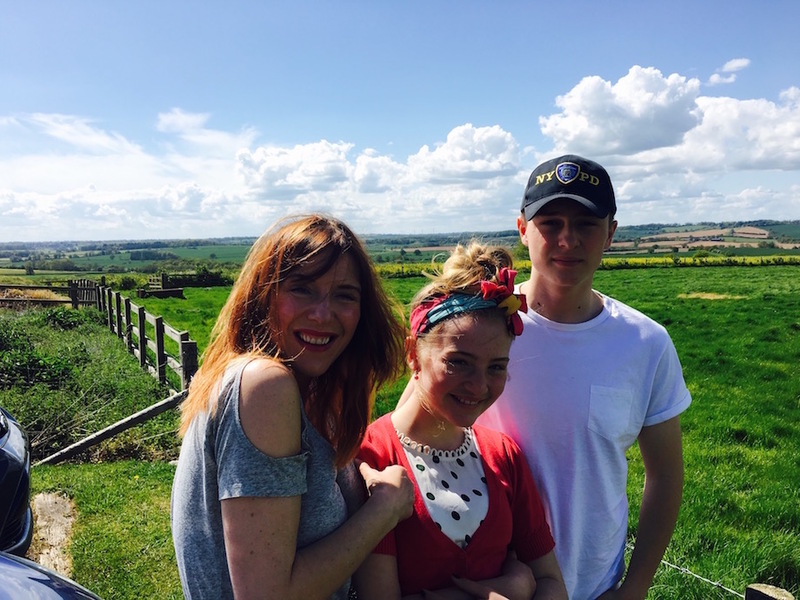 It's family friendly, super tasty and set in gorgeous countryside. Beautiful views across the county from the Pub but who forgot their coat? 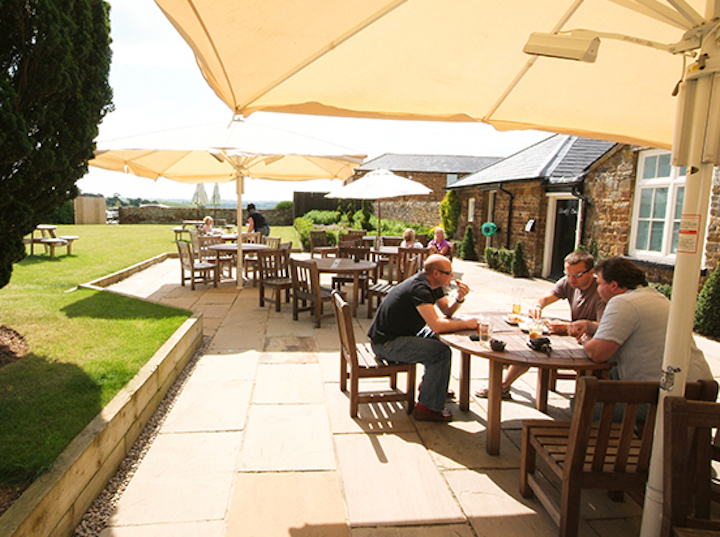 First things first, is there a more idyllic setting for a lovely lunch with family and friends, than the rolling Northamptonshire countryside and a trip up or down the Welford road? Travel in either direction, from the A14 or north from Northampton town centre, and the road gives you spectacular views and access to some brilliant Muddy boltholes. Heigh ho, heigh ho, it’s off to eat we go. Once inside the pub to the left, there’s a quality contemporary feel to the decor. The room is light and airy with hardwood floors and lots of comfortable seats to relax into. Speaking of which, the bar is well stocked with high end spirits alongside tasty bottled craft beers and interesting (regularly rotated) draft beers, lagers and ciders. Walking through to the distinct dining area, there’s a private dining room then a well presented larger dining area which definitely out restaurants other restaurants, and there’s lots of natural light. Lovely. We ate from the Sunday menu and there was a suitably interesting specials board to choose from giving chef free reign to delight our taste buds – as he did on this occasion. The weekly menus contains plates to share and nibbles, and there are often promotions to be had between Monday and Friday (2 courses for £16.95). In addition the pub promote calendar events so keep a look out and remember to book advance as it does get very busy. 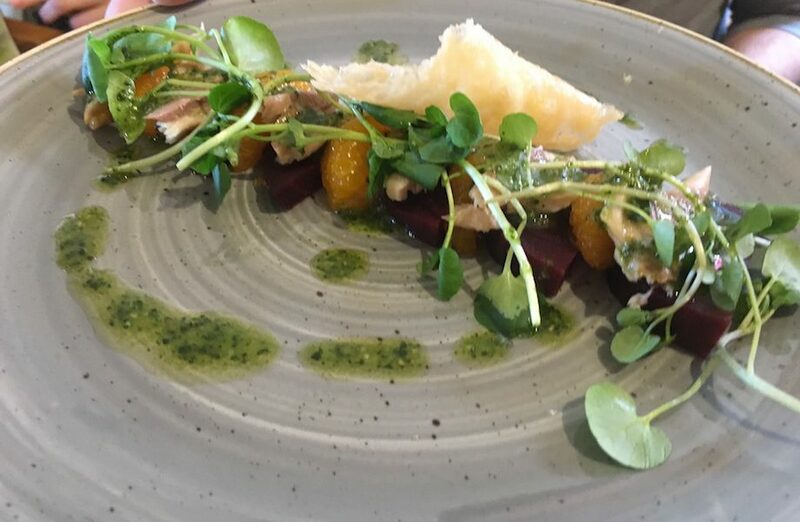 On this visit we adopted the traditional Muddy ceremony of tactical ordering and sharing each other’s starters (all in the name of research I tell you – My smoked trout, roasted beetroot, orange, mint and pesto dish was deeeeeelicious. 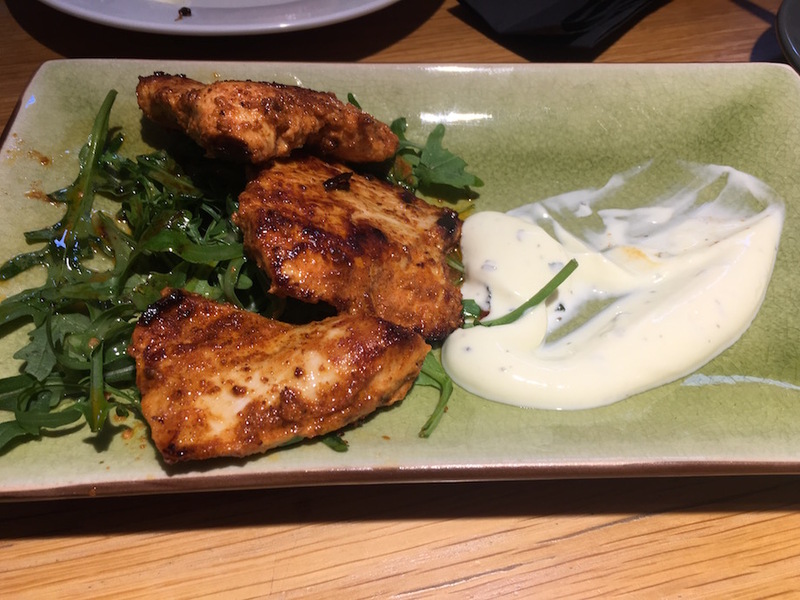 The Tandoori chicken with dressed rocket and mint yoghurt was just as succulent and tasty. A good start. Moving onto main courses the (not so) Mini Muddies (aged 16 and 12) got involved. There was much purring as the crackling accompanied pork loin, sage, sausage, onion stuffing and rump of beef with rich red wine jus where devoured (one of them ALWAYS orders the most expensive thing on the menu). 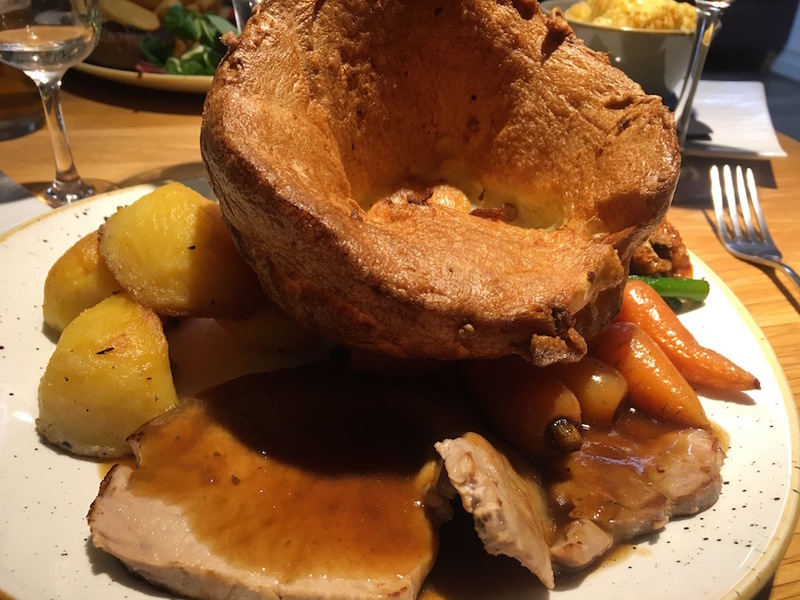 All Sunday roasts come with mixed vegetables, roast potatoes, Yorkshire pudding and gravy. And they look as good as they taste. 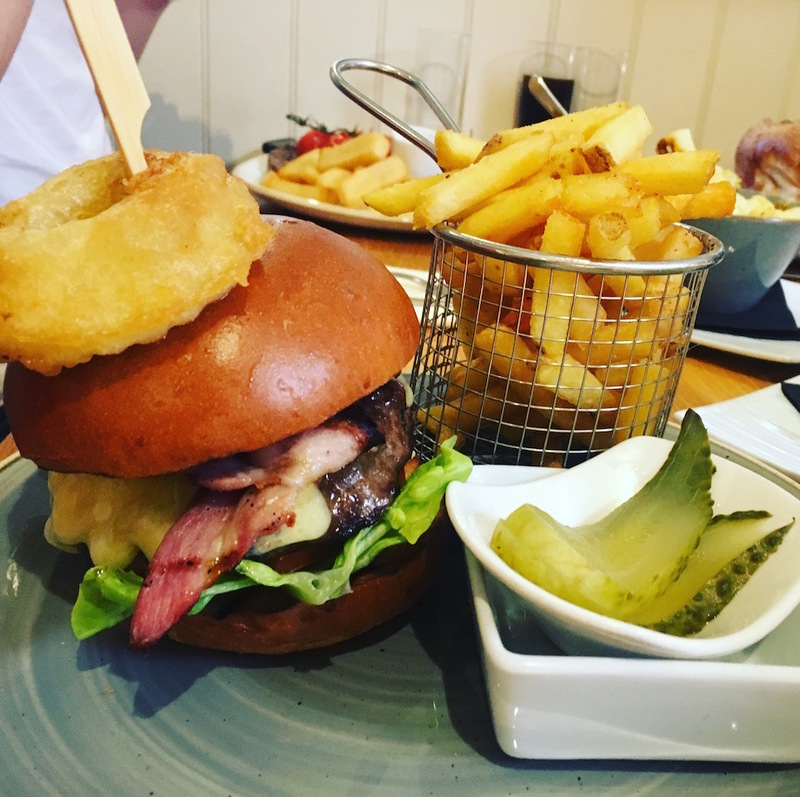 The kids also ordered a butcher’s beef burger complete with dry cured bacon, aged cheddar, French’s mustard and tomato ketchup dip whilst the grown ups couldn’t resist a rib eye steak, which was declared the best ever. Again! 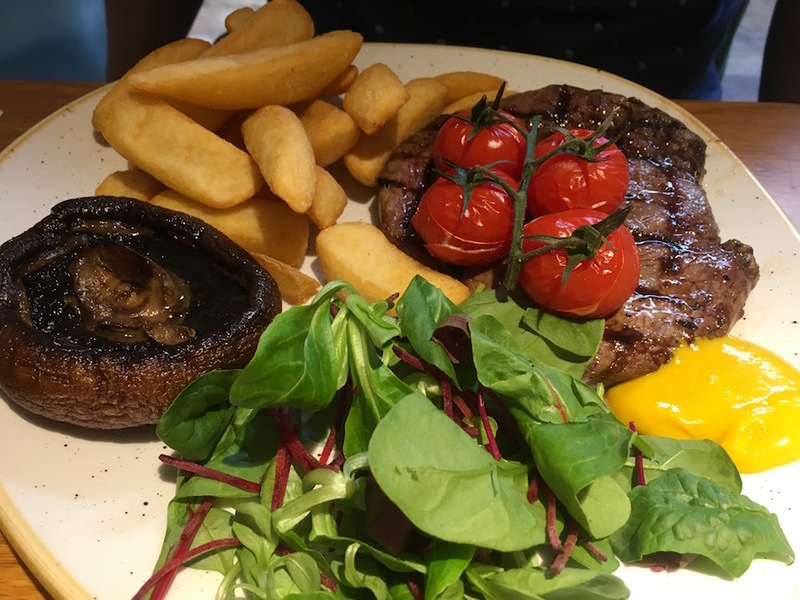 Actually this one was a beauty – a 28 day aged 10oz steak, but not cheap at £24.95, but as is often the case, you get what you pay for. 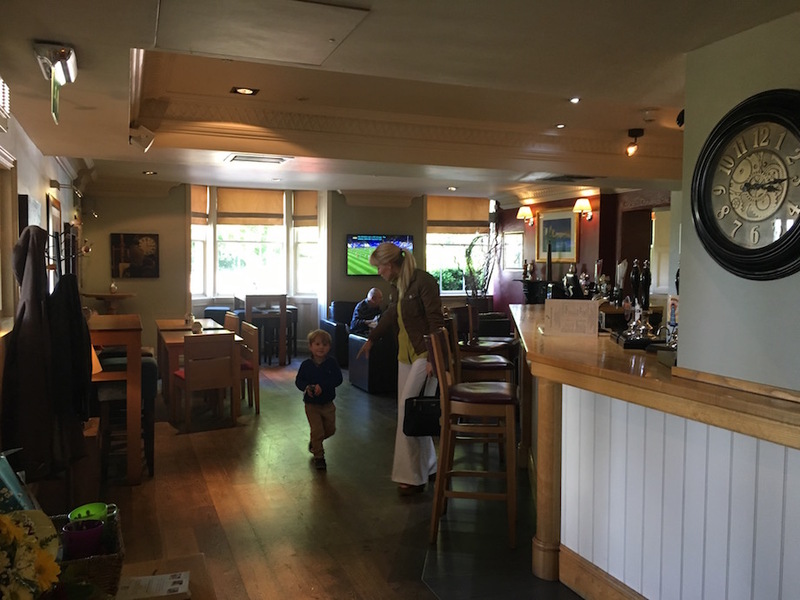 This Pub is absolutely kid friendly with great emphasis on family dining. There are many big round tables to sit around, so there’s no sense of overcrowding. Everyone really is welcome. Nearby, you have the gardens of Coton Manor to nip along to for a gentle walk and with Brixworth Park and the beautiful Pitsford Water only minutes away there are plenty of places to take in some of the best countryside the county has to offer, and work up an appetite before the dining commences (or to walk off the feast you’ve just partaken in). As I mentioned we’ve been to The Swan at Lamport on many an occasion across all the seasons, either en route or as our final destination. Whether dining or drinking it’s a really lovely experience. Muddy hears that there’s a new chef in town too, so don’t be surprised to experience something new from the team there – and please let us know how you got on – as always, we’d love to hear from you. Good for: Groups of families and friends celebrating special occasions, or simply falling in from a wet walk in the Northamptonshire countryside. Not for: Non drivers who can’t get a lift to the Pub. 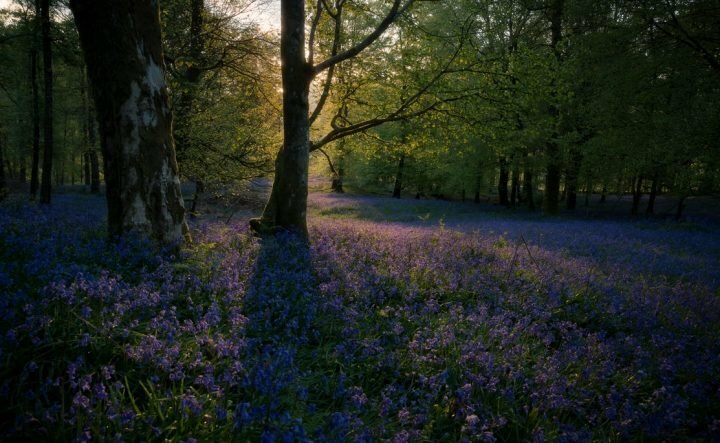 It’s lovely, but for most of us it’s a car journey away. That said, find a designated driver and you’re in business, and it’s worth the effort. The damage: We ate from the Sunday menu and it’s a fair deal. Excellent locally sourced ingredients, cooked to your liking, for a reasonable price. 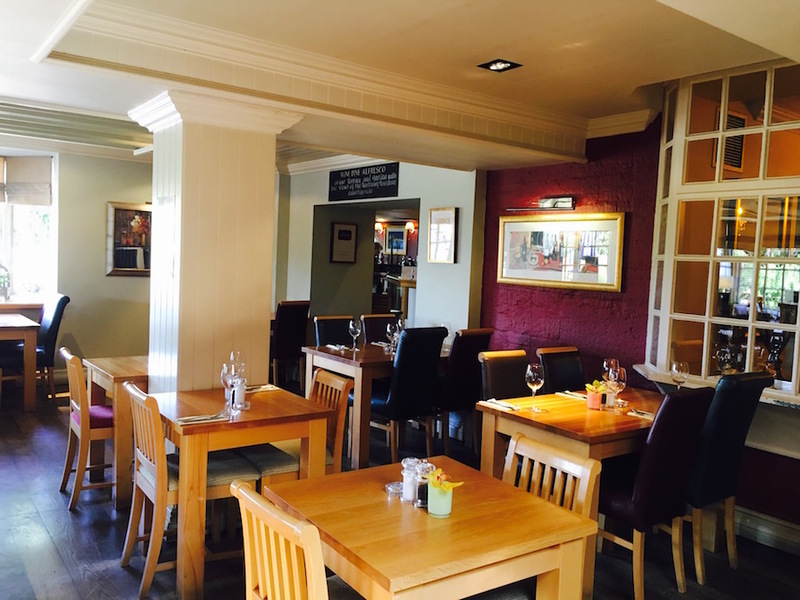 Starters hover around the £7 mark, as do desserts, with main courses at £12. So expect to spend £30 per person (including booze). 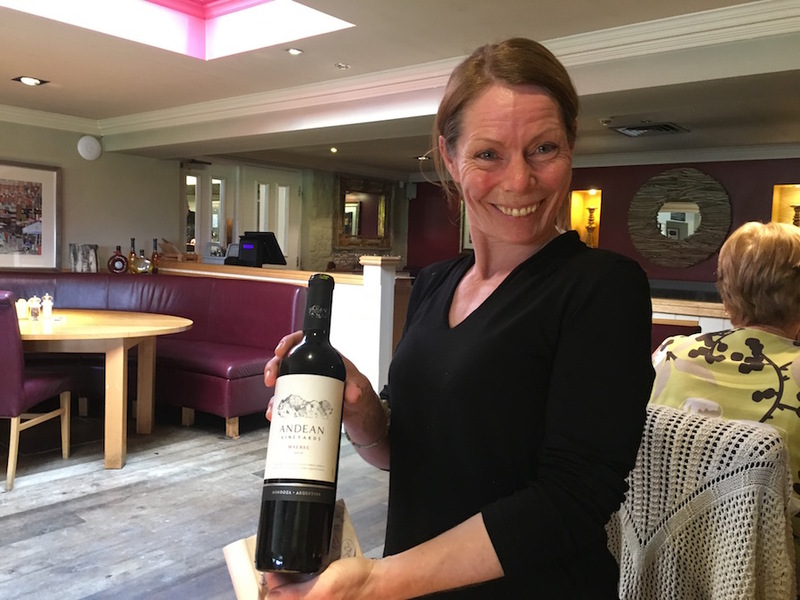 The wine list is extensive and the quality on offer translates to higher than average prices, so again, you get what you pay for. 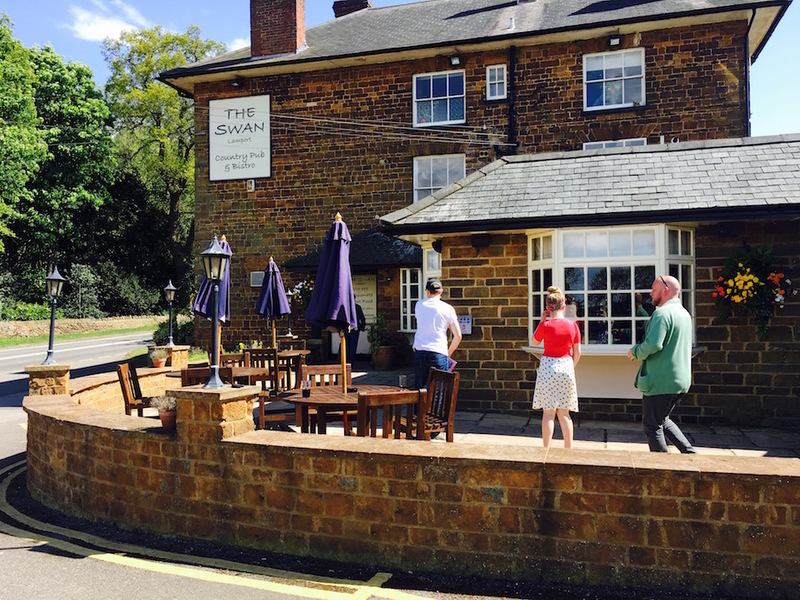 The Swan at Lamport, Harborough Rd, Lamport NN6 9EZ.